In January, we naturally think about setting our intentions for the new year. So, it is a great time to create a vision for your life and year ahead by making a vision board. A vision board is simply a collective name for a wide variety of inspirational collages created from pictures and words, usually cut from magazines and arranged using your innate sense of creativity. It’s a pictorial representation of your vision—and a powerful way to make your dreams more tangible and attainable. The physical act of creating a vision board sends messages to your mind about what’s important to you; and, you are affirming to yourself what you want to focus on in your life. Your focus can be in any area you choose, such as success, abundance, career, business, home life, spiritual growth, well-being or relationships. Chances are, anytime you ask someone about their past vision board experience, they very likely declared that some, or all, of their visions manifested into their life. You can experience this too. The Innergize to Energize Your Life – Vision Board Retreat is a full-day program with plenty of time for introductions, creativity and sharing. We’ll begin with a guided visualization and a brief meditation to prepare you for setting intentions for your vision board and for your life. warm and comfortable clothing. Dress in layers. we’ll provide tables and chairs. However, there may be space to sit on the floor if you’d prefer. in-door slippers or socks (outdoor shoes are left at the entrance). colorful, beautiful, inspirational magazines—we will supply magazines and all supplies, but feel free to bring some magazines of your own. a copy of a favorite photo of yourself, for the middle of your vision board (optional but recommended). how to relax and settle your consciousness into the vision board activity. how to feel into your goals and allow your mind to run free. how to make your vision board vibrant. how to choose pictures, symbols, words and quotes for your board. how to look outside the box and create a board that is personal and inspiring. the “Now what?” What to do after you have completed your vision board retreat and you’re back at home. a Dream Sheet to complete with your intentions before you arrive. the vision board you will create. the Innergize to Energize Your Bliss Planner/Journal and newsletter, gifts of appreciation. The Innergize to Energize Your Life – Vision Board Retreat will inspire you to set your intentions for the year ahead and offer support to help you bring your vision into manifestation. 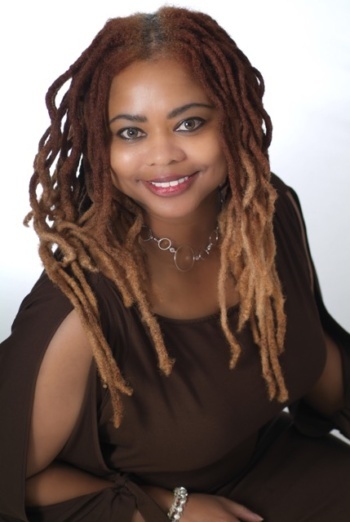 JLove Jackson is the author of the Innergize to Energize Your Life eBook Series and has been coaching for more than 15 years. She is the founder of BlissfulCommunity.com, a directory of heart-centered services and products; and Ananda communities, centers and groups. JLove’s Innergize to Energize Your Life Programs include Spiritual Counseling; Inner Life Coaching; Vision Board Retreats; and, Success eCoaching (interactive coaching via email, blog and e-course). JLove’s services are dedicated to helping you awaken more vitality, abundance and bliss from within. Achieve Glowing Health and Vitality Ananda online teacher. Expanding Light Retreat Center Host. Team member or coordinator for various Ananda events.